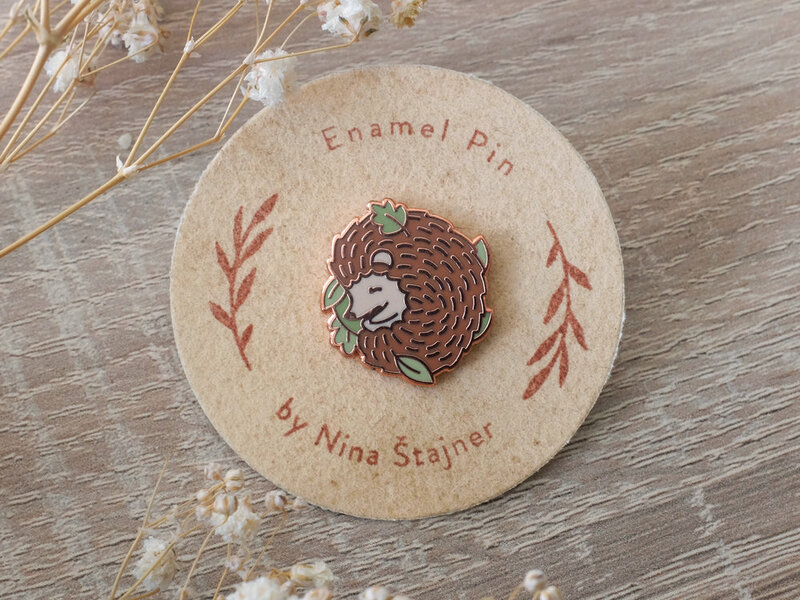 This is my Woodland pin collection that was sold through my Etsy shop. 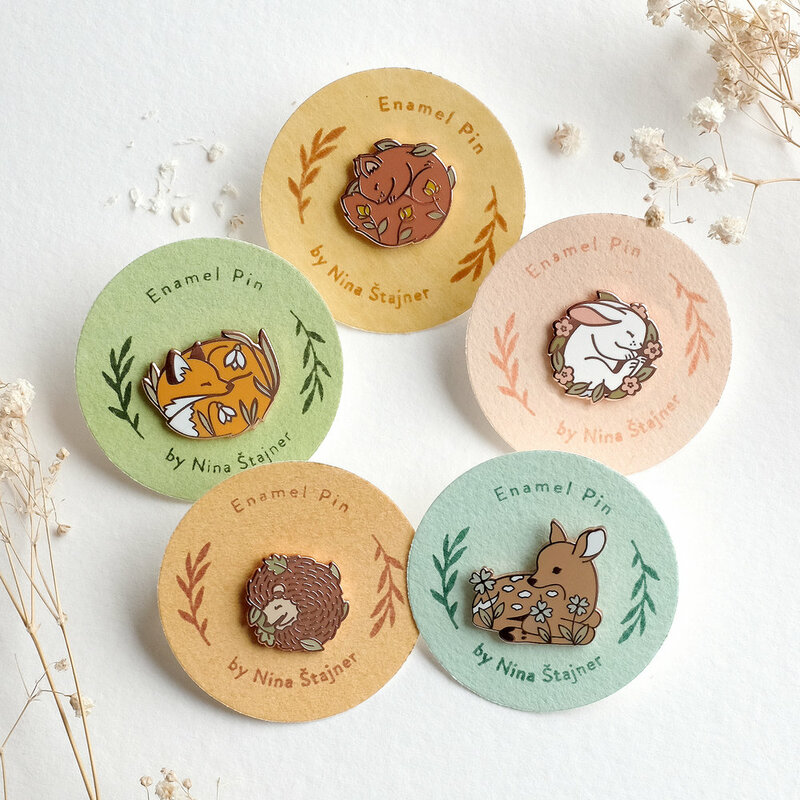 Meet Sleepy Fox, Bunny, Fawn, Hedgehog and Squirrel. 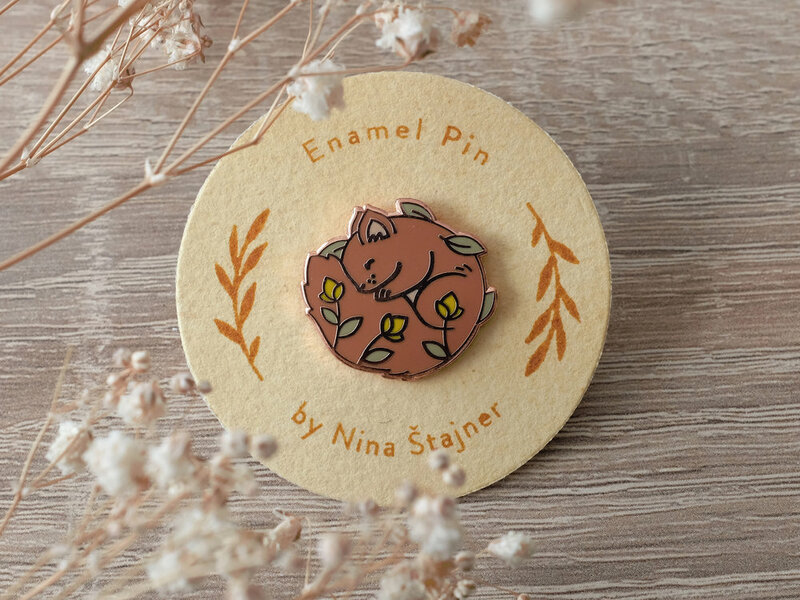 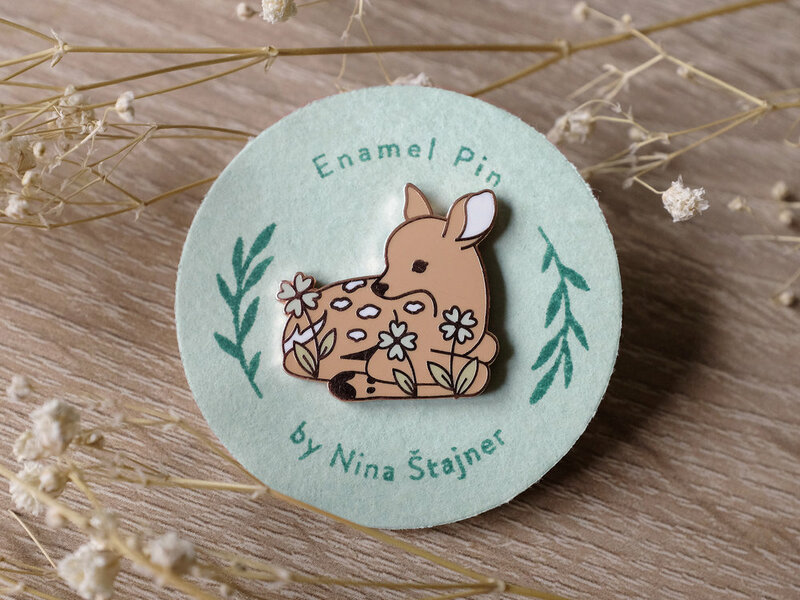 Each of these colourful rose gold pins was placed on a handmade, round backing card (which was coloured with watercolours and stamped by me).